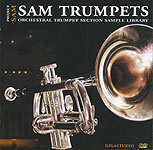 Having delivered very strong French horns and trombones titles (reviewed in SOS February 2003 and June 2003 respectively), the Dutch company Project SAM now unleash their trumpets, thereby successfully completing a trilogy of orchestral brass ensembles. This is SAM's biggest project yet — 4.44GB of samples, presented on a single DVD-ROM. The enclosed booklet is informative, but despite supplying copious credits (including one for Derrick the studio cat), it somehow forgets to mention the number of trumpet players (three) and recording location (a concert hall in Utrecht). The instruments were miked from three different positions within the hall: close (two metres), stage (seven metres) and far (15 metres). You can hear a healthy amount of hall ambience in each of the three placements, making the differences in listening perspective less obvious than I had expected. The library provides a comprehensive range of playing styles, including two types of sustain, one looped; 'expressive' sustains with a built-in crescendo and diminuendo; marcatos with three different attack speeds; staccato and staccatissimo; and diminuendo and several types of crescendo, all played in the orchestral 'no vibrato' style. As a bonus, there are some jazzy big-band mannerisms — falls, and stabs with an exaggerated vibrato. The players also play with straight and Harmon mutes, the latter producing a wonderfully dramatic metallic tone straight out of a '60s American TV cop-show soundtrack. 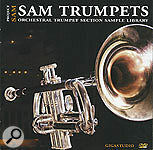 Extending an idea instigated in Project SAM Horns, the trumpets perform up and down legato intervals of all chromatic steps from a semitone to an octave, playing an initial note for one beat at 84bpm before moving to the sustained target note. (Great if your composition happens to be at 84, 126 or 168bpm!) Simple mini-phrases are also provided, consisting of short, single-pitch rhythmic modules (a triplet leading to an accented short note, a dotted eighth note followed by a 16th note, etc.). Reiterated sixteenth notes played at 138bpm create a more extended rhythmic effect. Tight, energetic and accurately executed, this is all good building-block material for those with the patience to do the DIY! The effects section has some good atonal cluster chords, sounding less random than usual and focusing on useful combinations of tone and semitone intervals. If it's random you want, try 'wild takes', a (thankfully) small collection of free jazz effusions. Nice! At the conclusion of the trio recordings, one of the players steps forward and delivers some confident, steady solo trumpet samples, comprising sustains with and without vibrato, marcatos, staccatos, and a reduced range of intervals. Adding an edgy contemporary flavour, Project SAM have commissioned the perilously-named Funckarma remixing team to create a set of mad noises based on the samples, and their Distorted Reality-style digital mutations, unrecognisable as trumpets, nearly blew up my speakers. Great stuff — file under horror, sci-fi, industrial, or urban alienation, but do not play to your granny! EXS24, Gigastudio, Halion, or Kontakt DVD-ROM, 184.44 Euros including VAT. Project SAM +31 (0)30 294 9128. This release, comprising six CD-ROMs packed with Acid ised WAV files, offers 3.5GB of samples including 2500 loops. The bulk of the first, Dark Techstep Jungle, is made up of drum, bass and atmosphere loops. The drum loops are dominated by aggressive high-tempo material, and the bass loops complement them well. The Atmosphere and Launch Pads folders contain synth/filtered textures, including some sounds that evolve nicely with time. However, that is not to say the mood is nice, as these loops are pitched at an aggressive jungle sound. The collection is rounded off by a smaller number of treated vocals, hits and percussion loops. Digital Drum Unit One is mostly made up of 220 drum loops with a tempo range of 90-120bpm, so things are a little less energetic here. No details are given about the particular drum kits/machines used, but there are real kits as well as dance-style machine-based loops. Some of the loops are also treated, and this includes some filtering, lo-fi and vinyl effects. It's easy to imagine some of these loops within tracks like Madonna's American Life, and others would work in hip-hop or house. 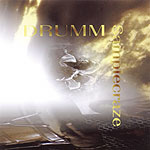 The remainder comprise individual drum component loops (for example, solo bass drum, hi-hat or snare) and some single hits, plus a few special-effects loops. Ground Loops is also mainly drum loops. Some 140 breakbeats with tempos of 90-170bpm, would suit a range of styles from high-energy techno through hip-hop and on to the pop side of dance. The Four On The Floor folder contains another 170 dance-orientated drum loops aimed at the harder end of house. The Keys and Synths folders include some really nice chordal riffs that are just crying out to be built around. These include tried and trusted sounds with plenty of filtering, but there's also a dollop of insane synth parts and some very useable loops that would get the toes tapping. A smattering of guitar and bass loops finish things off and, overall, things are easy to mix and match to get tracks cooking quickly. Based on the NRG title, it is easy to predict what to expect from this CD. It kicks off with some 'four on the floor' drum loops and some breaks. The tempo range is 120-140bpm and the feel is definitely hi-energy techno. There are also component loops so you can build your own patterns or augment the existing loops. These are supported with folders containing basses, lead lines, pads, arpeggios, sweeps, special effects, scratches and vocals. All work well together, but this collection is perhaps a little less diverse than Ground Loops. The Synths CD has four folders of loops: Ambient, Progressive, Tek and SFX. The first includes around 60 loops, some up to 32 beats in length. While there are some ambiences here, there are also more dance-orientated patterns, including some nice arpeggio loops. The Progressive folder contains 140 synth-based loops that would work within a House or Trance context. There are some pretty abstract, atonal things in here, but also some quite useable rhythm parts, filtered sounds, bleeps, and simple melodies. The 100 SFX loops are a mixed bag, ranging from simple rhythm patterns, standard sound effects, and sound-design beds, through to some just plain weird bleeps and bloops for the more experimental dance producer! Finally, the Tek folder is aimed at all those techno heads out there, with 100 aggressive synth loops. There isn't anything too subtle here — it's all very much in your face. Things slow down a bit when we get to Warped Space. The collection is described as being suitable for 'Nu Skool Electro Ambient Space Music' — er... right. Anyway, there is a good collection of down-tempo (mostly recorded at under 100bpm) beats that would work well with ambient, chill-out electronic music or even with some trip-hop. Some of these loops have been made lo-fi with a dose of digital crunch. The collection of around 40 bass loops are dominated by low- and sub-bass frequencies, while more than 80 16-beat and 32-beat loops within the Ambient Pads folder feature some most unsettling textures and would work well to create a feeling of tension. There is similar material within the Ambient Space folder, but most of these are one-shot files. These are perhaps more 'bed'-like, and some are in excess of 30 seconds in length. The Warped Elements and Warped Melodies folders contained various processed synth loops — again, probably not for the straight-ahead dance project, but if you need something a little more left-field, there is some interesting weirdness to be had here. Acid ised WAV 6-CD-ROM set, £149 including VAT. 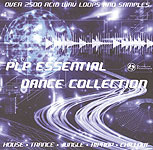 This huge collection comprises 514MB of single drum and percussion hits organised into 24 categories, where each category may contain anything up to half a dozen different sound sets. I tested the EXS24 version, where the hits in each sound set are mapped to consecutive keys across several octaves of the keyboard. From what I can tell, all the sounds are complete one-shot samples with no looping and no velocity layering (though there are velocity crossfades/layers and mapping on the Emu ESI32 version). Although this might not sound overwhelmingly exciting, the quantity and quality of the sounds demands closer attention. I was especially impressed by the huge range of bells, chimes and bell-tree sounds, both straight and treated. Interestingly, some of the samples have generously long tails while others have been tastefully truncated, presumably to allow those with limited RAM to have as much fun as the rest of us. However, from a selfish viewpoint I would have preferred all the samples to be full length. While the regular drum-kit sounds are available tucked away amongst this collection, they come second place to Latin, Indian and other ethnic percussion sounds, though there is an impressive selection of hi-hats, plus both crash and ride cymbals as well as triangles. Tom hits are also in evidence, but for acoustic kicks and snares you have to rummage amongst the Dance Kicks and Snares categories, where you'll find a few nice acoustic samples lurking amongst the usual (and some less usual) electronic contenders. Again, many of these sounds are processed, but most are useful in the right context and range from thin and piercing to deep and powerful. There are also R&B Snares, Kicks and Hats sections, as well as some great shakers, congas, tablas and timbales, but what I also appreciated was that within each section there were some oddball (but definitely inspirational) sounds that seemed to have been squeezed in by dint of having nowhere else to go. The same is true of the Hits section, which is a mixed bag of orchestra stabs, dance hits and the plain weird. And if oddball is your thing, over a third of the disc is given over to the Perc Effects folder (241MB), full of special effects, strange sounds and weird noises that fit in well with both dance-style music and TV/film music. Definitely worth exploring. More 'weird' is on offer in the Reverse/Scratches section and amongst the Tom/Timp/Effects examples, so don't feel this is just more 'same old same old'. In the main, these sounds are fresh and bang on the money. WAV CD-ROM, £39.99; ESI32, EXS24, Kontakt, or Reason Refill CD-ROM, £59.99. Prices include VAT.